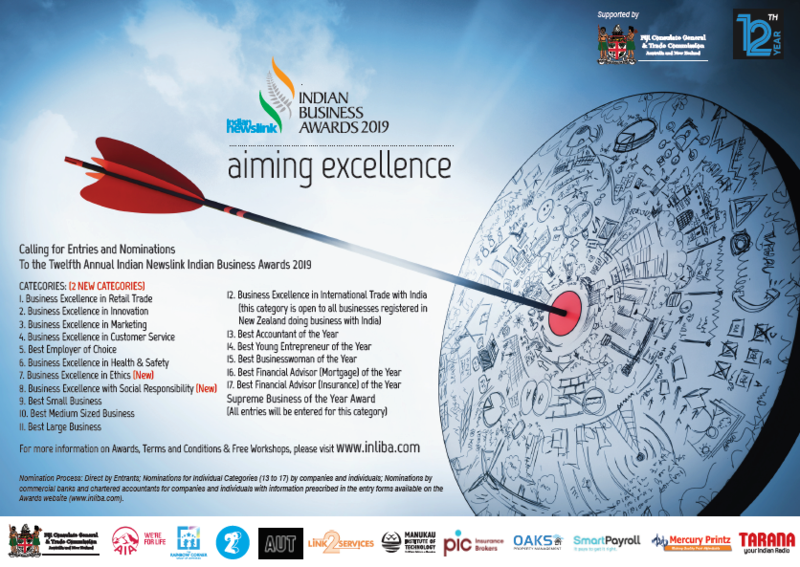 We have pleasure in announcing the launch of the 2019 Indian Newslink Indian Business Awards. Applications are now invited for the Twelfth consecutive year of recognising excellence in all facets of business governance and management. We are inviting eligible companies and individuals to enter the process of presenting an application. Many companies have found significant benefits in being a part of this process. There is a requirement for a good business plan and successful business managers know the importance of the business planning process, including market intelligence, staff involvement and high standards of leadership. A good business plan also acknowledges the power of engaging key people in the planning process. Most of the information required for the application will be present in the plan or within the organisation and readily available. A proven success strategy is to form an ‘Awards Team.’ It will motivate and engage your staff. From the entries in the 12 Company Awards categories, a Supreme Winner will be selected. The winning company would have demonstrated excellence in strategy, planning and execution. The winner will be selected from the finalists and announced at the Awards Night scheduled to be held on Monday, November 25, 2019 at SkyCity Convention Centre in Auckland City. Companies can nominate their employees or another business associate for individual categories if they find them suitable to do. Individuals can also nominate themselves for the categories eligible. Those nominating or entering would have formed the view of their outstanding abilities and contribution. After the information is collected the requirement is to fill in the forms according to the tips provided on each question, review the application, using an independent eye if possible and to submit the application on or before (6 pm) on Saturday, August 31, 2019. The objective of the Awards is to promote and reward best practice in business and individual performance and to provide a high profile stage on which they are recognised for their achievement of excellence. There are 17 Award categories, catering to almost all segments of business. Included are five categories for recognition of individual contribution. 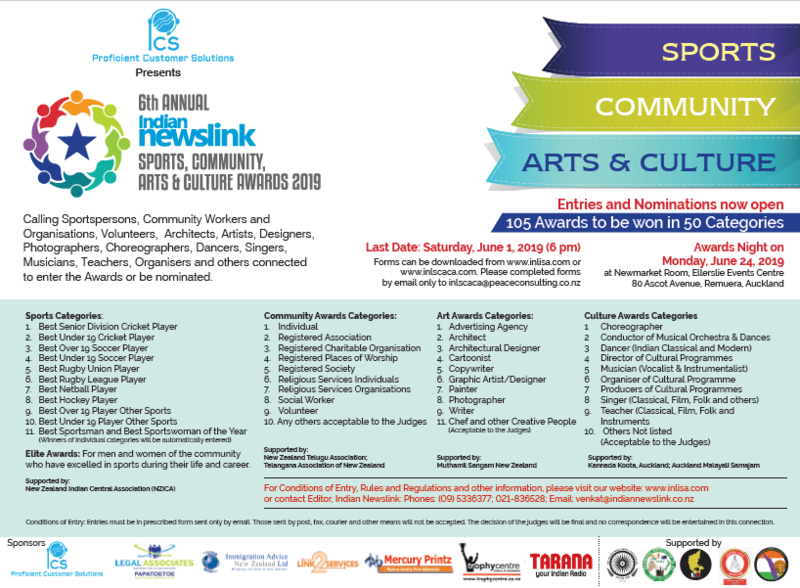 We have introduced two new categories this year, namely, ‘Business Excellence in Ethics and ‘Business Excellence with Social Responsibility.’ These categories reflect the growing recognition that business enterprises have both a responsibility and a connection to the values of the community that they serve. We will be happy to conduct more Workshops if required. These Workshops will explain ‘How to file a Good Entry,’ the application process including what the judges are looking for and the criteria on which the application will be critiqued. The application documentation sets out clearly the process for entry and provides tips for your entry. Professional assistance with entries is available, should the applicant require a more individualised approach. This advice is independent of Indian Newslink and the Panel of Independent Judges. The contact details are available on the application forms. Entrants should negotiate terms directly with them. Our Panel of Independent Judges is selected and appointed for their knowledge and experience in business, which is wide and varied. The judging process is rigorous, independent, confidential and ensures that there is no conflict of interest. I wish you the best with your entries. 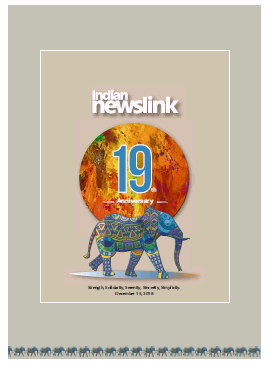 Ray Knight is the Chairman of the Independent Panel of Judges of the Twelfth Annual Indian Newslink Indian Business Awards 2019. Apart from his own business experience and acumen, he has been a Judge on the Independent Panel since 2010. 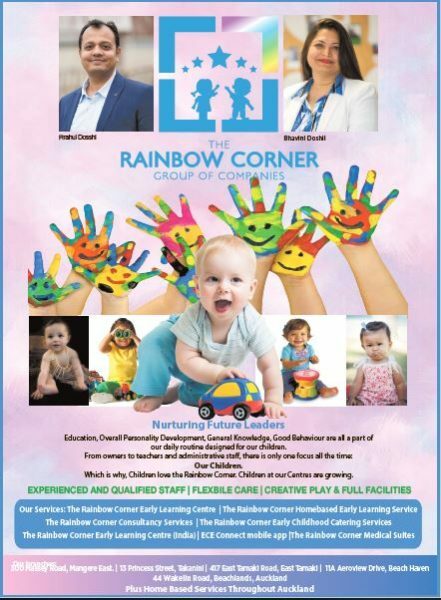 Our Advertisement calling for Entries appears on Page 20 of this issue.